Kate: 2012 really is a massive year for England, and London in particular as we will be hosting not only the prestigious Olympic games but also The Queen's Diamond Jubilee celebrations. The Diamond Jubilee will mark 60 years of her glorious reign (The Queen's coronation took place on the 2nd of June, 1953), it is also worth noting Queen Elizabeth II's reign is the second longest reign in British history. For those viewers who are not aware, Queen Elizabeth II is regarded by many of our citizens as a national treasure, and is a very popular monarch. The Queen is the Head of State for Great Britain, and is also currently the Head of the Common wealth. The Commonwealth is a voluntary association of 54 independent countries, with the vast majority at some stage in their history being under British rule. Queen Elizabeth was the third child in line for the throne, and therefore was not intended to be Queen, but due to her uncles abdication took up the role at the tender age of 25. In 1947 Queen Elizabeth II married Prince Phillip, Duke of Edinburgh and together they have had four children: Charles, Anne, Andrew, and Edward. It is her eldest son Prince Charles that will become our next King. Buckingham Palace is responsible for coordinating all the events for the Diamond Jubilee central weekend (2nd–5th June 2012). Details of The Queen’s programme will be announced in due course. Chelsie: With the Diamond Jubilee just around the corner what could possibly be a better way to celebrate the occasion then embracing traditional English culture and indulging in an Afternoon Tea? I am sure that her majesty the Queen would approve of our decision! has designed 4 fabulous different afternoon tea's. We have already booked our place for June (So Excited!) but the Tea run's through February to June with one of the four different themes each month. The tea is inspired by the five longest serving British Queens and ends with our current Queen Elizabeth II. 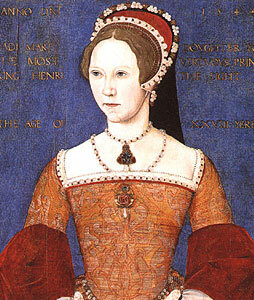 Queen Mary I (reigning monarch between 1553 and 1558) was the daughter of King Henry viii and is first wife Queen Catherine of Aragon. Queen Mary was the first woman to successfully claim the throne of England. Mary married Prince Philippe II of Spain in 1554, and attempted to restore England back the Roman Catholic Faith. 1901’s afternoon tea for this Monarch is inspired by her connections to the Catalan nation, tinged with Spanish delights. Queen Elizabeth I, Good Queen Bess or the Virgin Queen (reigning monarch between 1558-1603) was the daughter of Henry viii and his second highly controversial wife Anne Boleyn. Ironically initially deemed as a failure (because she was not male) turned out to be one of our most loved and successful monarchs. Elizabeth is remembered for her greatest achievements beating the Spanish Armanda, and sponsoring Sir Walter Raleigh, who made the first English attempt to colonize the New World. This afternoon tea is an ode to Elizabeth I’s American connections. Queen Anne’s rule (reigning monarch between 1702 and 1714) had a lasting impression on Britain. Her indelible mark left us not only with the “Races at Ascot” but it was also during her reign that John Churchill, Duke of Marlborough, defeated the forces of Louis XVI at the Battle of Blenheim. The Treaty of Utrecht ended the War of the Spanish Succession, saving Vienna and the whole of Austria. Queen Victoria’s reign (reigning monarch between 1837 and 1901) coincided with truly remarkable industrial invention, economic growth, and colonial expansion that gave the average Englishman hope for advancement, and a deep national pride in being British. The highest point in Victoria’s reign was her coronation as Empress of India, for which this afternoon tea takes its theme. We will be visiting in June for the ‘THE DIAMOND QUEEN’ but they all look fantastic ! If you could choose one which would it be ? Priced at £45 per head and available Monday to Friday from 3.00pm – 4.30pm, reservations can be made by contactinglondon.restres@andaz.com or +44 (0)207 618 7000.